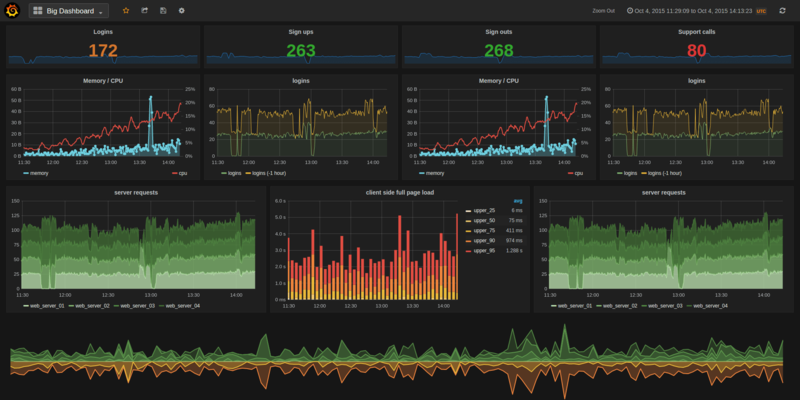 Grafana: Do you know that we provide a free hosted Grafana? 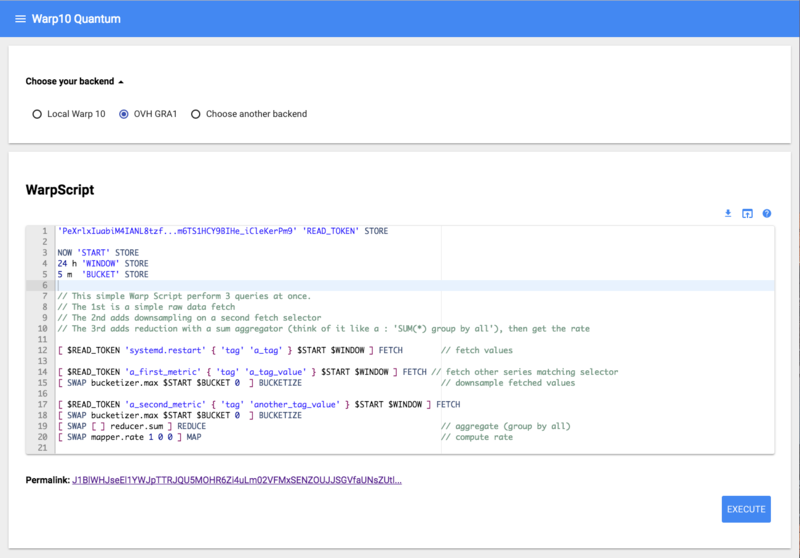 Quantum: Quantum is the official IDE to start developping WarpScript™. You can access it with https://quantum.metrics.ovh.net. Warp 10™ WebComponents: Warp 10™ is providing WebComponents to integrate graphs into your own web pages. You can find examples on their Github account.